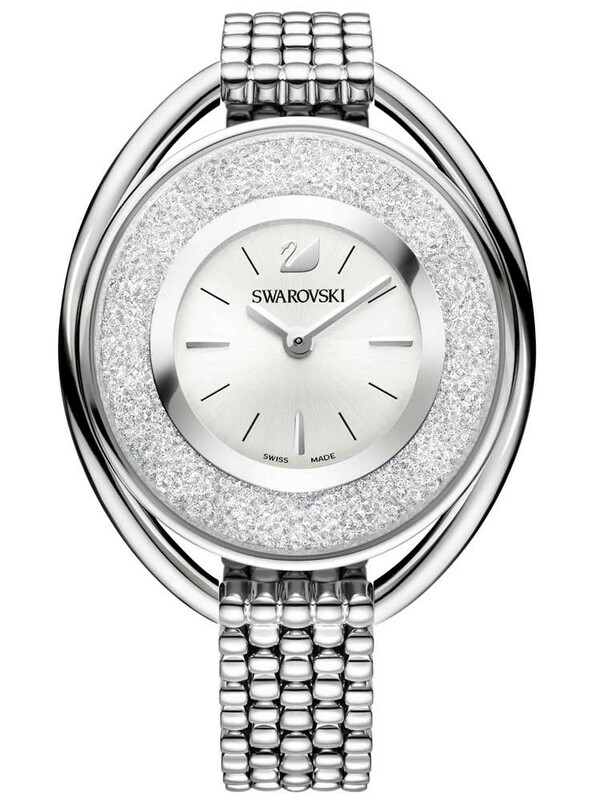 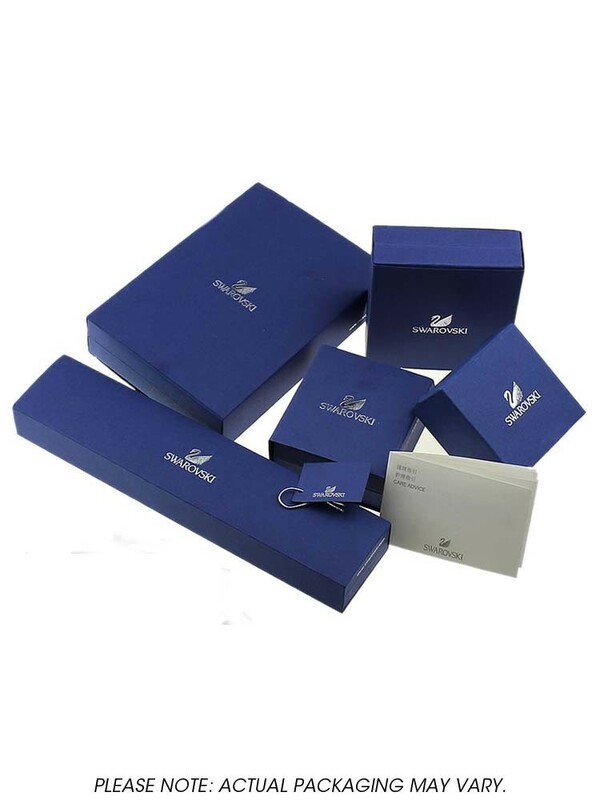 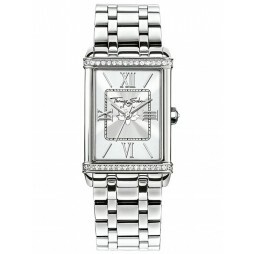 Presenting the ladies Crystalline wristwatch from Swarovski. 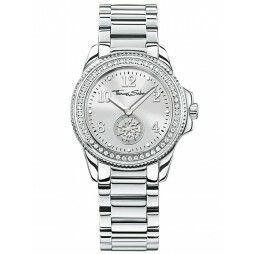 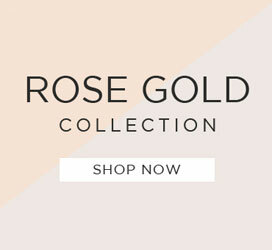 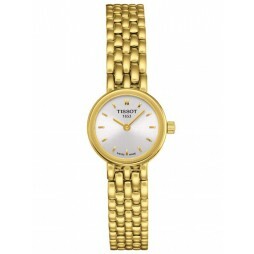 The unique stainless steel case houses a fashionable silver dial which is encircled by a wide textured crystal bezel. 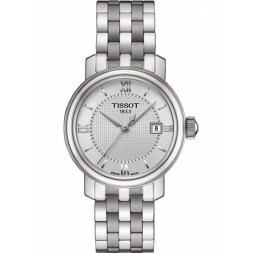 The dial uses silver and black hour markers along with delicate silver hands to tell the time. 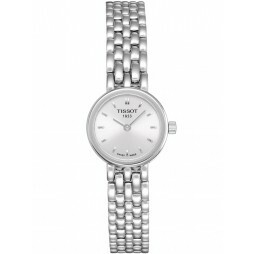 The watch is completed using a bead styled silver bracelet which fastens securely using a push button deployment clasp.